If you are into salty, sweet, soft, crunchy, spongy mixed all together with a dash of spice, this is for you. Yes, this concoction sounds really weird, but it is an explosion of flavors in your mouth. According to some books, this recipe is a long-lost relative to one served in the Middle Ages. Even though I prefer to think that a very savvy woman seeing the approach of lent decided to make good use of what she has leftover in the kitchen before the fasting days of Lent, and then Capirotada was created. Just picture her looking at the dry pieces of bread. Wondering what to do to make good use of it. Searching into her baskets for anything else to add. There she found a dry piece of salty cheese and some raisins. But still the bread was 2 days old, well add some water to soften it, and since water is just too plain, then sweeten the water the only way they knew, with piloncillo. And what goes great with piloncillo? Cinnamon and clove! Shall we add it? Of course! And what about those peanuts over the top shelf? That sounds like a great idea, let’s add them too. And Viola! Let’s call it “Capirotada”. The truth is that I don’t care what they called, as long as you let me have a huge portion of my dish. I wonder how many times you find yourself in the same situation, looking at your freezer with the door wide open. Thinking what to do with that lonely package of meat or chicken, then searching in your vegetable drawers and the spice’s jars asking yourself what to do with it. Then after an hour or so you have created a dish that now is your family favorite. Has that ever happened to you? If so, let me know if the comments/ I would love to hear about it. And now to the recipe which is a basic one, see notes below for substitutions and other additions. 2. Mix the melted butter with the oil and brush over the slices of bread. Place in a baking tray and bake 8 minutes and then turn over to bake 5 more minutes. The bread should have a deep golden color. Start assembling the slices of bread in an round oven proof dish. With the help of a ladle slowly pour syrup over the bread making sure the bread absorbs the syrup, do not let it go to the bottom of the dish in order to have enough syrup to moist all the bread pieces. Better yet dip the bread into the syrup to get and even moist crumb. Top the first layer of bread with cheese, raisins and peanut or any other fruit or nuts you would like to add according to the suggestions given above or your own. Place another layer or bread and continue the process as in step 4. Pour the remaining syrup over the last layer of bread and top with the cheese, raisins, and peanut. Dot with the 2 tablespoons of butter cut into small cubes. Cover with aluminum foil and bake in your preheated oven for 45 minutes until the top crust is golden and the lower layers are moist. Serve warm or cold. Capirotada Mexican bread pudding, If you are into salty, sweet, soft, crunchy, spongy mixed all together with a dash of spice, this is for you. Yes, this concoction sounds really weird, but it is an explosion of flavors in your mouth. Mix the melted butter with the oil and brush over the slices of bread. Place in a baking tray and bake 8 minutes and then turn over to bake 5 more minutes. The bread should have a deep golden color. Pour the remaining syrup over the last layer of bread and top with the cheese, raisings and peanut. Dot with the 2 tablespoons of butter cut in small cubes. Cover with aluminum foil and bake in your preheated oven for 45 minutes until the top crust is golden and the lower layers are moist. Serve warm or cold. • Traditionally the bread is first fried instead of toasted in the oven. Choose the method that better fit your taste. • Italian or French bread can be used even challah bread. In Northern Mexico even toasted corn tortillas are added. • Some cooks also add anise seed to the syrup, if you would like to do so 1/4 teaspoon will be fine for this amount of bread. • Fruits are also found in some recipes, the most common are fried plantain, bananas and apples. • Prunes, cranberries, or other dried fruit are also used instead of the raisins, even shredded coconut. • The same applies to the peanuts, any other nuts like almonds, pecans, walnuts, pine nuts are used. • Other cheeses used as substitute are Mexican Manchego, Monterrey Jack and Mild White Cheddar and even parmesan mixed with Mexican Queso Fresco. Muchas gracias por compartir todo esto en tu blog. Yo soy mexicana y ahora estoy viviendo en Suecia. Cuando me entró la añoranza por la comida mexicana me encontré con tu maravilloso recetario y ahora, nomás de preparar las recetas, me siento más cerca de los que quiero. 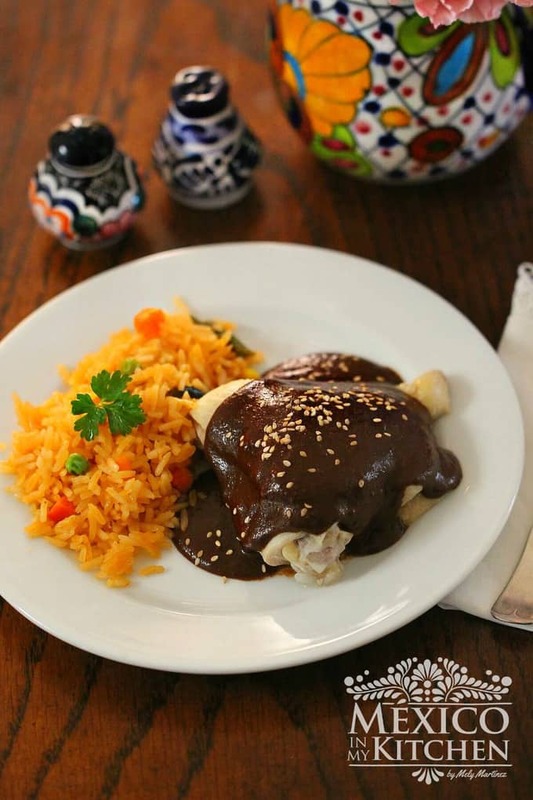 Que bueno que te sirvan las recetas y te ayuden a recordar a nuestro Mexico Lindo y Querido. que deli!!!! mil gracias por compartir esta deliciosidad! Acabo de encontrar su página gracias a Diana de My Humble Kitchen y estoy encantada! He querido aprender a hacer Muchas de estas recetas! Me encanta la sencillez para describir todo(fácil para mi porque muchas receta auténticas mexicanas son difíciles de entender) El año pasado, mi mamá le pidió a mi tía abuela está receta. Lo malo es que ella no sabe dar medidas (porque ella no más le tantea). Nos quedó horrible! Ji ji! Q contenta se pondrá mi mamá cuando le diga q tengo esta receta! Espero les guste la receta tanto como nos gusta aqui en casa. 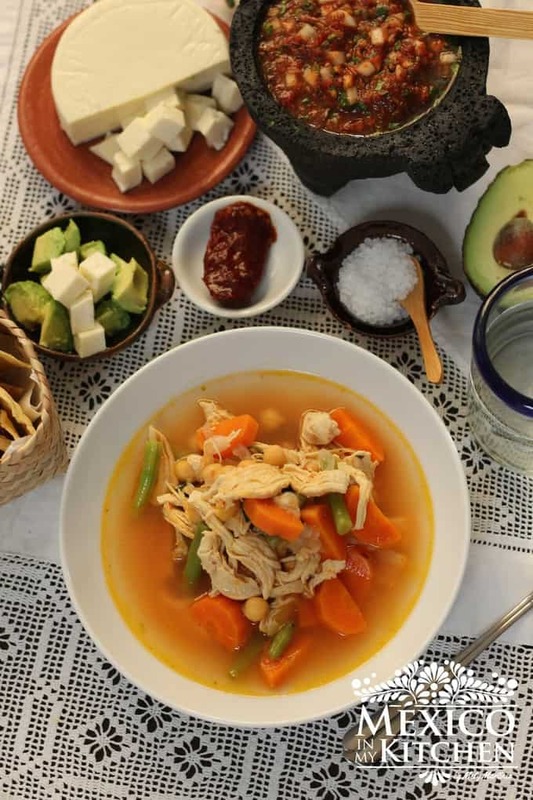 Hola Mely, admiro todas tus recetas.. Riquísima tu receta de Capirotada y gracias por las fotos para ver paso a paso. Sabes yo lo hago así igualito como tu receta y también agregamos el anís, y UNAS. 3 RAMAS DE CILANTRO EN EL JARABE — somos de Monterrey Nuevo Leon mas bien de ALLENDE, un pueblo magico entre montañas y mi receta es muy antigua de mi tatarabuela de parte de mama. Ojala la pruebes con el cilantro queda deliciosa. Felicidades por tu gran blog y trabajo!! I have never liked capirotada, but the rest of my family/does. So I learned how to make it like my mom did. Her version didn’t include peanuts, & she used shredded cheddar cheese. Instead of using piloncillo, she made her own syrup with brown sugar, water & cinnamon sticks. I love this dish, my grandma used to make it for all her grandkids during Easter time. Now, I’m making it for my own kids thanks to you. Total n00b question: is it fresh cotija or añejo?